The Mongols Nation Motorcycle Club is an outlaw biker club formed in Montebello, California in 1969. The Club is estimated to have up to 1,500 “full patched” members in fourteen states and ten countries, including former member and former Minnesota governor Jesse Venturea. The Bureau of Alcohol Tobacco and Firearms (BATF) has infiltrated the club multiple times, resulting in many arrests and convictions of various club members for various crimes. In addition to trying to imprison its members, the BATF and Department of Justice (DOJ) have engaged in lengthy legal battles to strip the Club of its trademark rights in the “Mongols Nation” name and logo. Since 2008 prosecutors have tried over and over again, in various courts, to obtain forfeiture of the trademarks. The trademarks at issue include the words “Mongols Nation” and the logo at the right showing a Genghis Khan-type caricature riding a cruiser. The Club originally registered the “Mongols Nation” service mark in 2005 and filed a federal trademark on the collective membership logo in 2013. The registration was cancelled in 2012 and the application abandoned in 2014. New registrations covering the service mark and the collective membership logo were filed and registrations obtained in 2013 and 2015 respectively. Courts have attempted to strip the Club of its trademark rights in the past. 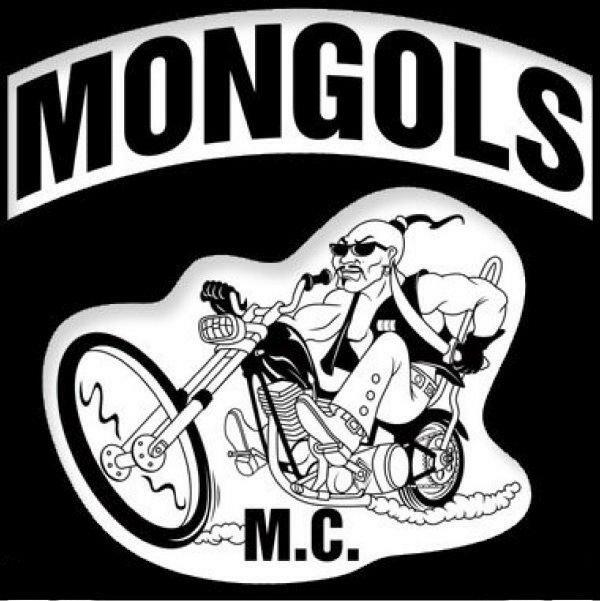 In 2008, Judge Florence-Marie Cooper, of Federal District Court in Los Angeles, granted an injunction prohibiting gang members and their associates from wearing the logo and authorizing law enforcement seizure of “products, clothing, vehicles, motorcycles, books, posters, merchandise, stationery, or other materials bearing the Mongols trademark.” In 2009, a Mongols Nation member, Ramon Rivera, along with the help of the American Civil Liberties Union, filed a lawsuit, demanding law enforcement not be allowed to confiscate his property. Mr. Rivera eventually prevailed, the judge’s ruling was overturned, and the court awarded Mr. Rivera $252,466 in lawyers’ fees. Since 2009, the rights in the trademarks have been transferred multiple times, avoiding confiscation when it appeared whomever the then-current owner was might run into a situation requiring forfeiture of the trademark rights. On December 14, 2018 a federal Santa Ana jury found the Club guilty of the charges of conspiracy and racketeering. 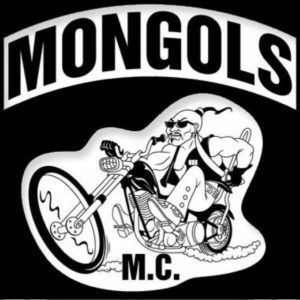 On January 11, 2019, that same jury that found the Mongols Nation Motorcycle Club guilty of conspiracy and racketeering charges, handing down a verdict that the Mongol Nation has to forfeit its trademark rights to the federal government. Unfortunately, neither the redacted jury notes, nor the redacted verdict form provide much insight as to the basis of the jury’s verdict. Just what the jury’s decision means for the future of the trademark rights in “Mongols Nation” and the Genghis Khan logo remains unclear. Even prosecutors are surprisingly mum about what might happen next. It was the intention of some members of law enforcement that the ruling would allow them to stop anyone wearing the trademarks and confiscate all items bearing the trademarks. This does not appear to be what is going to happen, especially since some members of the Club have the trademarks tattooed on their bodies. Confiscation, especially in those cases, could prove difficult. To anyone with a background in trademark law, this verdict should raise a lot of questions. Most importantly, what statute or common law allows a jury to take trademark rights away from an entity and give them to the federal government? Also, does this verdict force the federal government to start using the trademarks to prevent their abandonment? This verdict seems to be the first of its kind where a jury tried to permanently deprive one particular entity from ever obtaining trademark rights in a name or logo. While the verdict may be well-intentioned, it does not appear to be supported by existing law. The main problem with the verdict is that trademark rights are not like most other property rights. Unlike other property rights, trademark rights do not exist in the abstract. One cannot simply acquire trademark rights, lock them away in a box for twenty years, and then sell them. Trademark rights are harder to maintain than even other intellectual property rights. Unlike patents and copyrights, trademark rights exist only in association with a good or service being offered for sale in commerce, or to identify members in an organization. If a trademarks, such as those owned by the Mongols Nation, are forfeited to the federal government, and the federal government has no intention of offering any goods or service under the trademarks, and intends that the trademarks specifically not be used to identify members of an organization, those trademark rights will go abandoned. Once the trademark rights go abandoned (ignoring for the moment that the logo might still be protected by copyright) anyone can use them. For these particular trademarks however, it seems unlikely that anyone would be willing to risk physical assault for wearing the former trademarks of a 1%er motorcycle club. Once the trademarks go abandoned, if no one is using them to sell a good or a service, or to identify members of an association, it seems that, pursuant to federal trademark law, someone, perhaps a member of the Mongols Nation can start using the words again in association with a good or a service, or as a membership identifier, thereby obtain trademark rights in the words, and then register them with the federal government again. About the only thing that does seem clear is that the First Amendment stops the government from preventing anyone from ever using the logo or the words “Mongols Nation” to identify a group of people. It will be interesting to see how this case develops. If someone does start using the Mongols Nation trademark or the logo, since this would not violate any criminal statute, it appears the government would have to fight that fight in civil, rather than criminal, court. That means the federal government would again subject itself to the possibility of having to pay the defendant’s attorneys’ fees if the court finds the case to be “exceptional.” Far from bringing this case to a decades-old conclusion, this recent jury verdict seems like just the beginning of a very long trademark fight with a very persistent group of bikers.